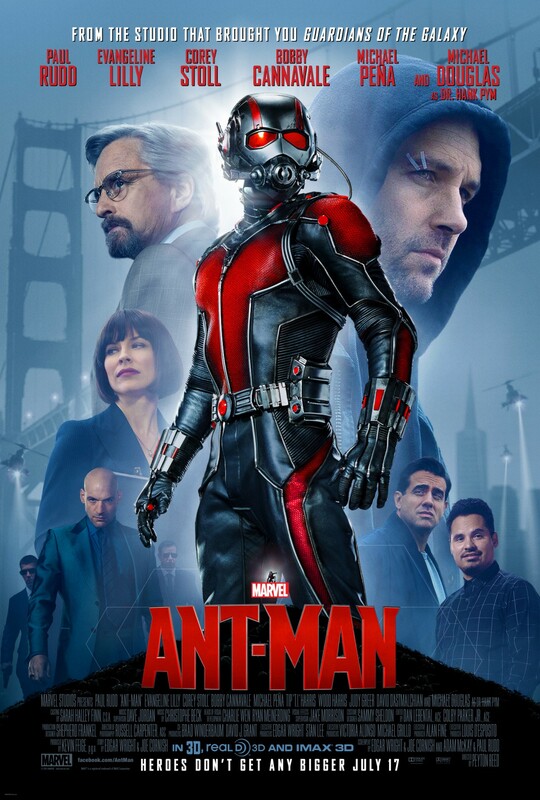 The next installment of the Marvel Cinematic Universe, Ant-Man, is released next week, on July 17. Despite writing previously about my enjoyment of the series, I can’t help but feel a little apprehension about this film. Ant-Man will be the twelfth installment of the series, and the first film since 2011’s Captain America to focus solely on the introduction of a new superhero. Last year’s Guardians of the Galaxy was a highlight of the series, but it also represented a break from the established superhero formula, feeling more like a Space Opera than anything Marvel had previously attempted. Going back to that traditional superhero formula, with a concept as unusual as Ant-Man, will be a real test for Marvel. Although Ant-Man was a founding member of the Avengers in the comics, his name certainly doesn’t carry the mainstream appeal or cultural recognition of Iron Man or Captain America or the Hulk. The MCU has demonstrated significant momentum at the box office. They are an established and reliable brand. Their audiences are emotionally invested in the series. However, the series is in constant danger of franchise fatigue, as audiences can potentially tune out after a few dud films or the sense that the studio isn’t attempting anything new. This year’s Age of Ultron may have done incredibly well at the box office, but it certainly wasn’t the best film in the MCU. I think Ant-Man, with its relatively unknown lead character, will reveal the true state of Marvel’s box office pull. 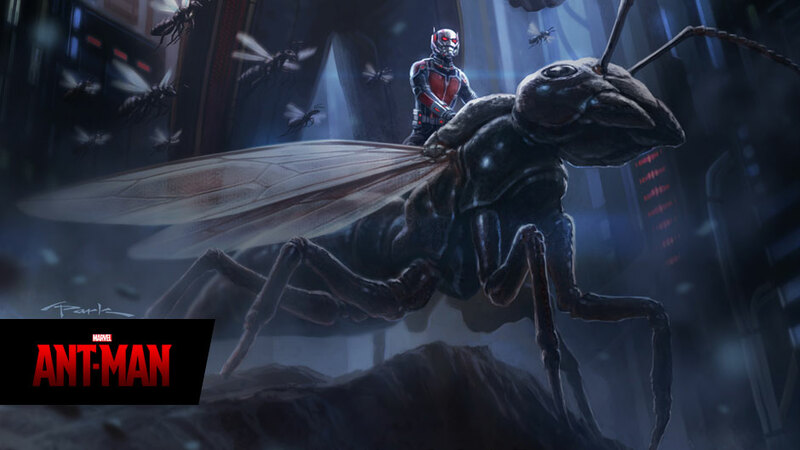 Ant-Man received a lot of early negative press when director Edgar Wright left the project, apparently due to creative differences with the Marvel studio. And although replacement director Peyton Reed has certainly produced some good films, there has been some lingering doubts about the film ever since. Edgar Wright is a favourite of fandom – his Three Flavours Cornetto trilogy cemented his place in our hearts – and there seems to be some residual support for his decision to leave the film. He’s portrayed as the underdog, the visionary filmmaker who was forced to leave by the big corporate studio. It certainly doesn’t help that Joss Whedon has been full of praise for Wright’s treatment of the film. It remains to be seen how much of his vision was damaged (or salvaged) in the process. 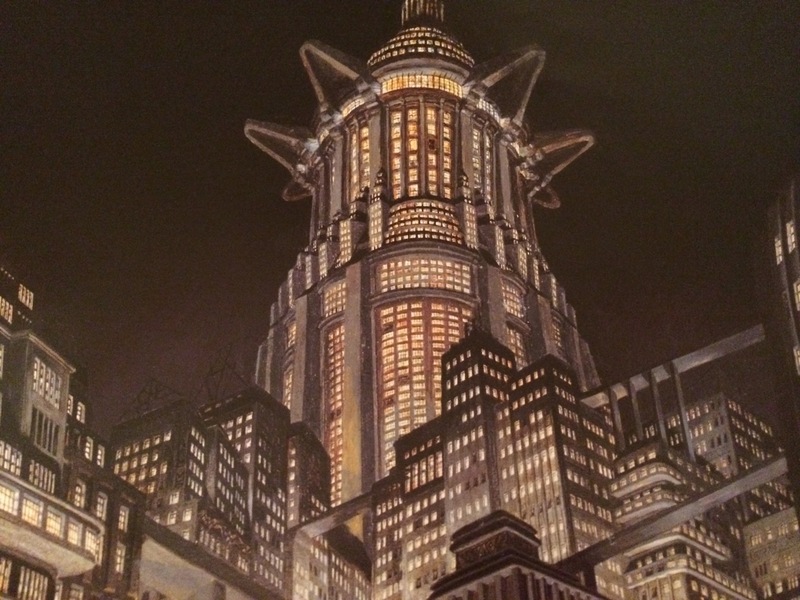 Marvel’s concept art for the film. Maybe it’s the music. Maybe it’s the revelation of more backstory. Maybe it’s the pretty looking explosions. Maybe I’m just a sucker for the Marvel juggernaut. But I am beginning to warm up to Ant-Man. Will it rise to the challenge set by the previous films? We’ll find out next week.